Both men take 49 percent of the vote among likely voters, the Q polls hows. 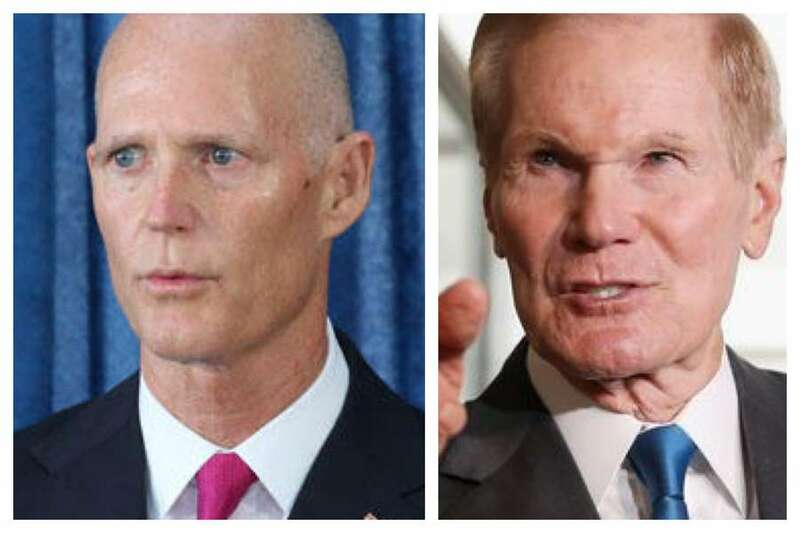 Bill Nelson and Rick Scott are in a dead heat in their Senate showdown, according to a Qunnipiac University poll released Wednesday, tied 49-49. The survey of likely voters –92 percent of whom say their mind is made up — underscores Nelson's talking point that after being vastly outspent since Scott entered the race in April, the contest remains a virtual tie, though Democrats remain concerned. "The campaign is a prototype of our nation's political environment: Democrat Nelson carries women and black voters, while Republican Scott wins among men and white voters," pollster Peter A. Brown said in a release. "The key in close elections like this one often lies with independent voters. So far, Sen. Nelson has the edge with this swing group. The candidate who holds those voters in November is likely to win." Nelson's leads among independents 56 – 43 percent, according to the poll. From August 30 – September 3, Quinnipiac University surveyed 785 Florida likely voters, via landlines and cell phones, with a margin of error of +/- 4.3 percentage points.